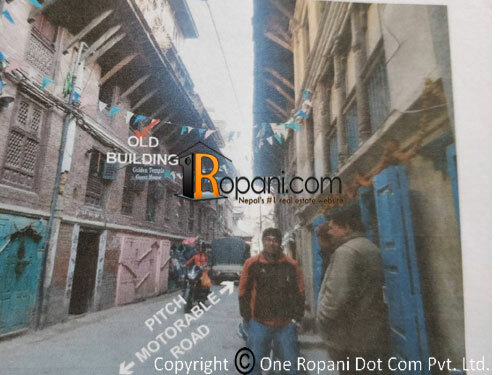 More than 200 Years Old 5 storey house located at prime area built at 2 aana land area having 7 rooms with attached bathroom, rooftop terrace and reception room. Currently running as guest house. Ground floor having curio shop.No Damage done due to earthquake of 1990 and 2072 B.S.